When your central air conditioner goes out, things can get complicated. Should you get it fixed? Should you just replace it? How much is this going to cost? The first thing to do is to identify the problem. Make sure to do your research, and figure out where your problem lies. Central air conditioners use your home’s forced air system to pump cold air throughout your house. If the problem doesn’t lie with the unit itself, the problem may be in your forced air system. Once you have the problem identified, the next step is to figure out the extent of the damage, as well as the cost. 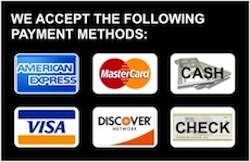 Remember to take all factors into consideration. Does it normally work to your standards? On another note, the world of central air has changed quite a bit in the last few years. Energy efficient and environmentally conscious upgrades have been made. 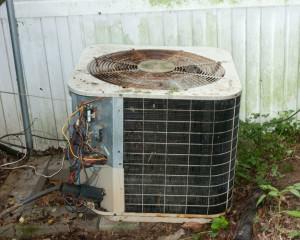 If your air conditioner is over eight years old, it isn’t worth repairing unless your problem is small. New regulations and requirements are in effect, so replacing your unit would be in your best interest. It would also help with your cooling expenses in the long run. One benefit of upgrading your system is a nice tax benefits you can receive, as well as local incentives for choosing to go green. Also, the newer units are all about efficiently: better cooling with a smaller electricity bill. All newer units are energy star approved, and can reduce your cooling costs up to 60%. Though replacing your unit may seem like a big deal at the moment, imagine how much you could save if you had a newer model. If you have a simple problem, like a worn belt, or a clogged condenser unit, it would be within reason to just have it repaired. A simple problem, a simple fix. Also, if your unit is less than eight years old, and works to your standards, fixing it would be the better option. On the other hand, if you have a big problem, replacing it may be your best bet. Replacing your central air conditioner can be pricey, but so can repairing it. At least when your unit is replaced, it’s over and done with, whereas maintenance can be stressful. So, whatever your situation, there is a solution. Do your homework, identify your problem, and figure out what is best for you.